It’s become pretty standard to wear workout gear on the weekend—whether you’re headed to the gym or not. Leggings are wardrobe staples and can go beyond the gym when paired with a cool crop top and jacket. But while leggings will always have a place in our closets, right now we’re also thinking about newer ways to wear athleisure. 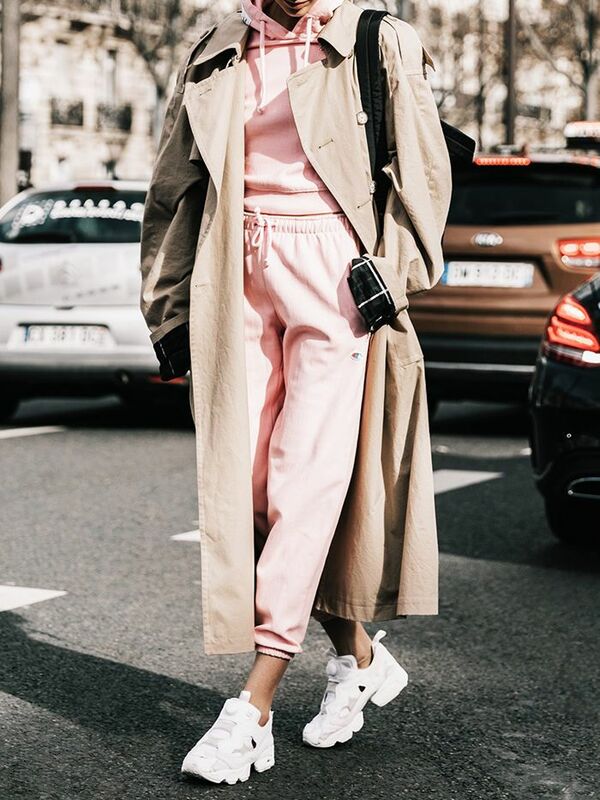 Our eyes are on the tracksuits and sweatpants that have been making a major comeback over the last few seasons. 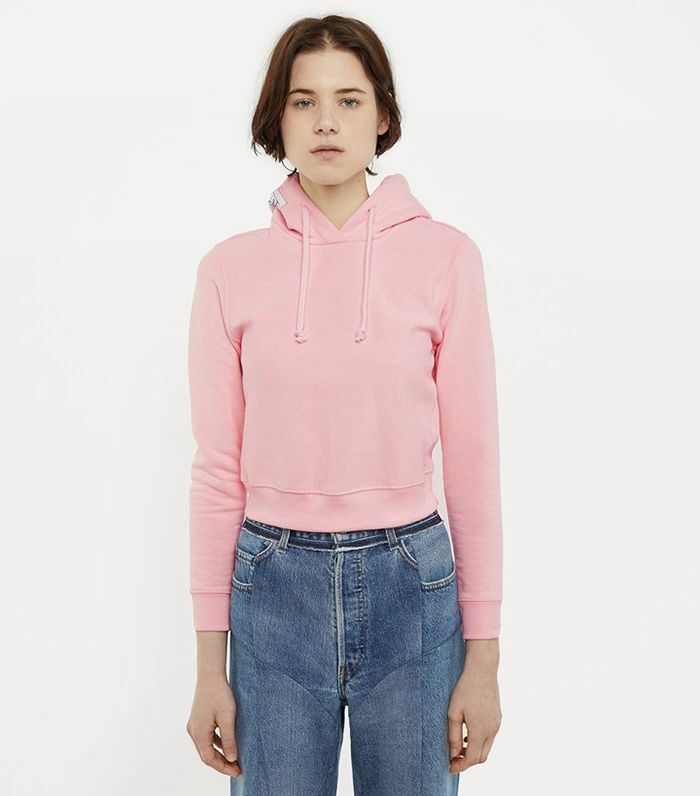 When a brand like Vetements teams up with Champion to create a collection of hoodies and jogger pants, it’s a sure sign the trend will continue to be coveted by fashion girls. To take the look to the street, we suggest layering pieces that don’t belong in a workout class. Leave your gym bag behind and instead throw on a trench coat and crossbody bag. Interested in wearing the trend? Keep reading to find out the best athleisure brands to try now, and see our favorite pieces from each. This fitted hoodie is fun for everyday wear. The Vetements collaboration with Champion is coveted by fashion girls. A classic oversize gray hoodie will never go out of style. Swap your leggings out for a comfy pair of joggers. You can never go wrong with an oversize hoodie. This top has a lived-in look. Pair these with statement sneakers. Style these with a crop top. Pair your sweats with some statement sneakers. We love this these two-tone leggings. This jacket also comes in pink. This distressed sweater has a cool, lived-in look. We love crisp white pants with sneakers and a tank top. This jet-black hoodie is perfect for running post-boxing errands. Try the athleisure trend and pair these slim-fit sweats with boots. Bella Hadid is a fan of Brashy. Wear yours with the matching hoodie. Nail airport style with these track pants. Take this from a hike to weekend errands. Wear these with high-waisted leggings. Try a new spin on classic leggings with this two-tone version. We love the high neck and textural detail on this black hoodie. Take your gym clothes to the street by wearing this silver bomber. Next, read about the cool sandals every celeb owns.